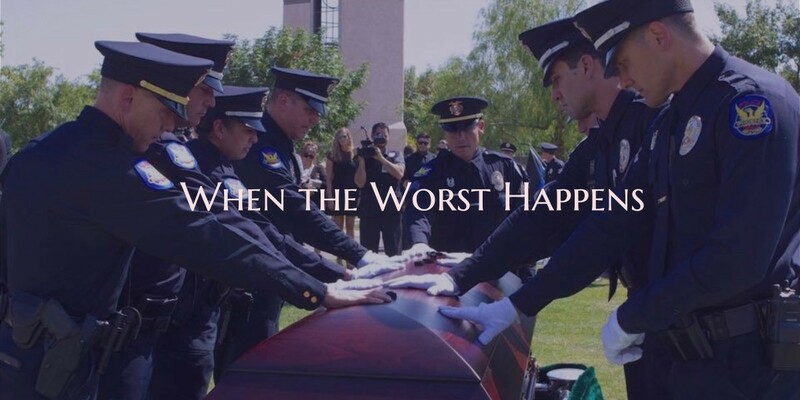 It has been two and a half years since my son, David Glasser, a Phoenix Police Officer, was killed in the line of duty. The first many months a fog of pain and confusion swirled around in our heads each day. The first year is tough and I think the second year is even worse in some ways. The permanence of the situation becomes very evident in the second year and is extremely difficult to deal with. The hole in our lives is growing bigger. There are more and more events and things Davey is missing. He should have been there. But we’re figuring out how forward. That’s what Davey would have wanted. God is giving us strength and he is helping us get used to living with the hole. We have discovered that love is the answer. Davey left us a legacy of love which is much bigger than the 2 simple words, “Love you”. The love and care behind those words filled many dark times in our lives these last 2 1/2 years. Davey knew how important these two words were so he used them with us all the time. At his funeral, I was surprised to hear that he also used them with his squad all the time – and he was adamant that they say it back to him. He realized how quickly life could end and he wanted those words to be the last thing anyone he cared about heard him say. ‘Love you’ has transformed our journey because its hard to be bitter when everyone around you is saying they love you. It’s hard to be angry when you’re surrounded by love. It’s hard to feel alone when all around you arms of love are reaching out to hug you. And Davey’s legacy of love is bigger than just us. His love for our city has motivated the creation of the David Glasser Foundation in order to continue the work Davey started. His foundation is just getting started but we are already seeing some of our dreams of what the foundation can accomplish in Davey’s name coming true. And there is much more to Davey’s legacy of love. Because he loved others so freely, his life and death has affected people across our city. The ripples of his legacy of love have spread through other families and friends out into other states and across the nation as we come to understand how short life is and how important love is. Love is a gift from God and Davey gave that gift to all of us.